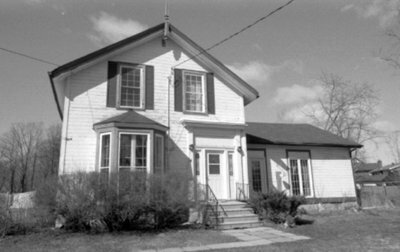 A black and white negative of 4 Cassels Road. This is a view of the front of the house. Residence of Dr. Henry Warren, October 2005, Carl Ferencz. Whitby Archives A2013_013_016B.